An AVA (American Viticultural Area) is a specific, designated wine growing area within a state. In New Jersey there are three such designated areas, Warren Hills, Central Delaware Valley and the Outer Coastal Plain. South Jersey is home to the vast Outer Coastal Plain (2.25 MILLION acres) which is ten times the size of the other two areas combined. The OCP includes an area that stretches from just northeast of Trenton to Cape May, NJ and includes approximately 34 current wineries. As I mentioned several times on this blog, I am not a particular fan of New Jersey wines but I am willing to put in more time and tasting allowing for the (unlikely) possibility that I am actually missing the boat on some good local wines. There are 2 primary reasons why I don’t feel attachments to the local wines. First, many of the wineries seem to have a compulsion to add some sort of fruit to the wines. Call me an irrational wine snob but, to me, wine is made from grapes, not grapes PLUS blueberries, or grapes PLUS peaches. Even if these fruit wines tasted good (and I realize many folks think they do), I would still not consider them to be wines. Maybe they should fall into an entirely different category of beverages which we could call “Frines”. This alone disqualifies many of the locally produced bottles from any consideration as serious wines. The second reason for my less than favorable view is that many New Jersey wine makers buy grapes from California and then blend those grapes with some from their own vineyards. This may, or may not, make their wines taste better but, in my opinion, it disqualifies them as New Jersey wines. Additionally, if the current marketing campaign wants to sing the praises of NJ wines and constantly remind all of us that “Jersey soil and our climate is reminiscent of that of Bordeaux”, bringing in grapes from out of state seems to shoot major holes in that theory. What type of grapes are we producing in the vineyards of the Outer Coastal Plain? It seems among the reds there is a great deal of cabernet and merlot, some syrah, cab franc and a grape that seems to grow particularly well in this region, chambourcin. On the white side there is plenty of chardonnay, some sauvignon blanc, vidal blanc, pinot grigio and some riesling. Of all of these, I am intrigued by the chambourcin. In the next few weeks I intend to properly sample wines made from this grape. 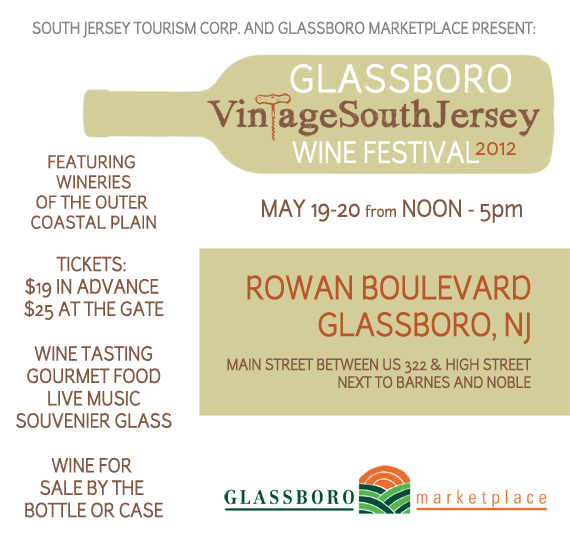 The Glassboro Vintage South Jersey Wine Festival is being held the weekend of May 19th and 20th. Thirteen South Jersey wineries will be taking part and there will be opportunities to taste and purchase wines on the spot. The event takes place from Noon until 5:00 PM each day and tickets are available at the site for $25.00 or, in advance, at the website for $19.00. I intend to visit the festival on Sunday and sample a minimum of 40 different wines from among the participating wineries. I will report on what I liked and what I didn’t like shortly after the festival. 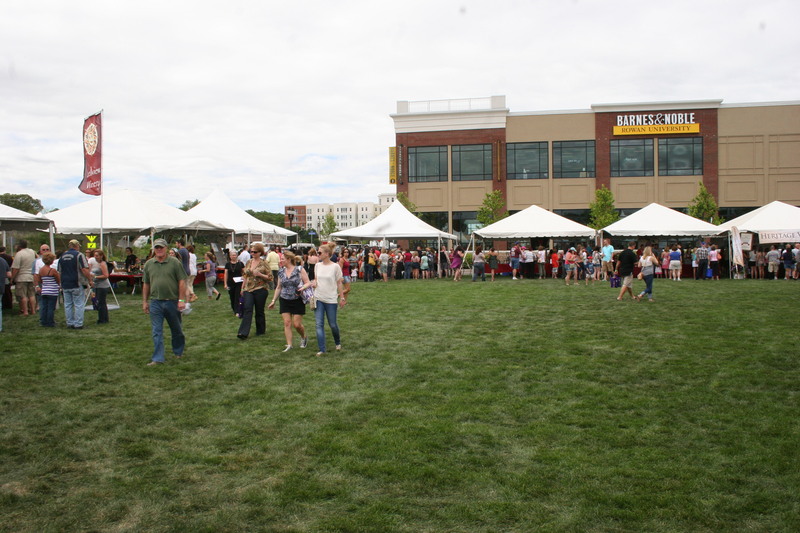 It’s a great chance to enjoy both the weather and the wines so come on out and take part. Your admission even includes a souvenir festival wine glass. A few weeks ago, St. Louis Cardinal’s baseball fans were devastated at the news that Albert Pujols had accepted an offer of 254 million dollars for ten years from the Los Angeles Angels. The three-time National League MVP was the heart and soul of the Cardinal team and they won’t be the same without him. Canal’s Bottle Stop in Marlton has just suffered a similar loss. 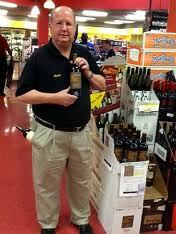 Yesterday, I learned that Charlie Beatty, the 18 year veteran wine guru of Canal’s Bottle Stop in Marlton, NJ is no longer Wine Manager at the store. The news was shocking and to make matters worse, no one at the store would say where he went. If each of the employees of the Bottle Stop were soldiers being held prisoner by the enemy, there would be little chance that any of them would break and reveal secrets even under the most extreme torture. Despite zero help from Canal’s staff, I had a hunch. 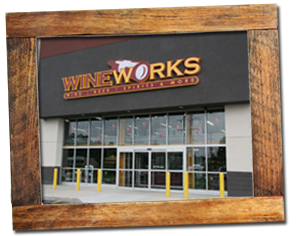 I went back to my car, headed east on Route 70, just a few hundred yards, and pulled into the shopping center that serves as location for Wine Works. Charlie was not there at the time but this IS his new home. Max & Filippo, owners of Wine Works (former owners of Hops n Grapes in Glassboro, NJ) have pulled off a major coup in adding Charlie Beatty to their employee line-up. Charlie Beatty WAS Canal’s Bottle Stop. He was to that store what Pujols was to the Cardinals, Brady to the Patriots, Labron to the Heat. When I named that outlet my #1 wine store in South Jersey two years ago, I gave Charlie Beatty as not just the number #1 reason but also the 2nd and 3rd reason. His personality, knowledge, expertise and customer service skills are top-notch and have endeared him to his multitude of loyal customers. His ability to stock the shelves with hard to find wines that the true oenophiles appreciate is unmatched in the area. Wine Works, pre-Charlie, was an excellent wine store. For me, the only problem was that it was located just a stones throw from Canal’s Bottle Stop. That problem no longer exists. Wine Works will now be my go-to destination for adult beverages. Max and Filippo are to be credited for having the foresight to make Charlie an integral part of their team. He has a dedicated following that will find him quickly and help him build sales at Wine Works. 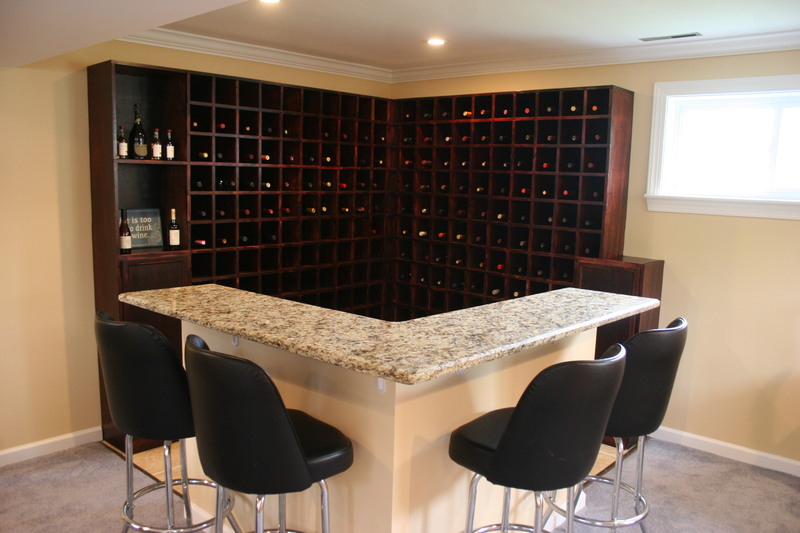 I really think it won’t be long before I have to re-do my Top Five Wine Stores in New Jersey. Any guesses as to the new Numero Uno??? Best of luck to Charlie and Wine Works. If you would like to leave a message for Charlie click on the “comments” link below. Yesterday, the New Jersey Assembly passed by a vote of 58 – 19 a bill allowing wine shipments into and out of New Jersey. The bill now sits on Governor Christie’s desk awaiting his signature. I will keep you informed. NOUVEAU BEAUJOLAIS – WHAT’S IT ALL ABOUT? 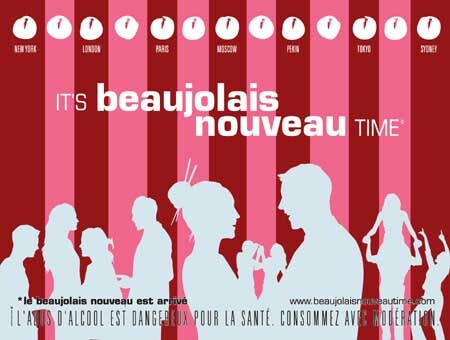 If you should happen to visit your local wine shop during the coming week, you will notice a number of signs similar to this one proclaiming the arrival of the 2011 Beaujolais Nouveau. It’s that time of year and in the next couple of weeks some 65 million bottles of this inexpensive wine made from the Gamay grape will be consumed worldwide. Although it is NOT great wine it is, indeed, a great marketing strategy perfected by the folks at Georges Duboeuf. On the third Thursday in November, the wine, which is only about 6 weeks old, is shipped from Paris to markets all over the globe amidst a great deal of fanfare. 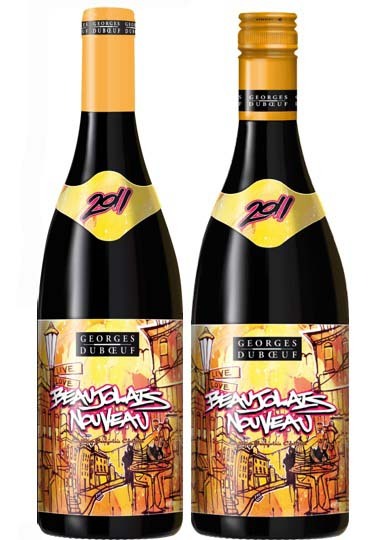 The brightly colored bottles of Georges Duboeuf’s 2011 Beaujolais Nouveau will occupy the prime spots in most wine stores and millions will choose this hyped vino as an accompaniment to Thanksgiving dinner. The gamay grapes are harvested by hand, go thru a speedy fermentation process, are quickly bottled and the wine is soon headed to dinner tables all over the globe. 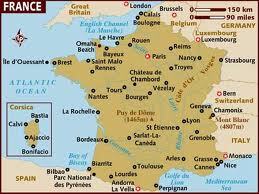 The Beaujolais appellation in France is located in the southern part of Burgundy not far from the city of Lyon. The gamay grape from which the wine is made is much lighter than cabernet or even pinot noir and you can expect a fruity taste. The wines are made to be drank almost immediately as few of the “new” Beaujolais will retain its flavor much longer than six or eight months . Wine geeks, such as myself, have a tendency to downplay this varietal but Charlie Beatty, Wine Manager at Canal’s Bottle Stop in Marlton (my absolute favorite wine shop in the entire Delaware Valley) actually recommended a Nouveau Beaujolais that I will be trying with Thanksgiving dinner next Thursday. I will be back here next week to let you know my thoughts on the 2011 L’Ancien, Beaujolais. Everyone loves lists. Okay, maybe I should just state that I love lists, and since I haven’t posted a list in quite some time, it’s only right that today be the day. Here is a list of my favorite wine regions. It’s not perfect because it doesn’t account for specific regions of a state or country which may be the reason that they have been included. I will try to reflect a bit on regions in the narrative. 1. 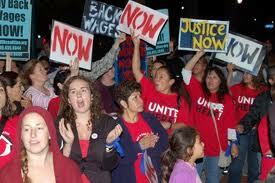 CALIFORNIA – In my estimation, no other state or country offers the quality and variety found in California. From outstanding Cabernets in all price ranges to soft, fragrant Pinot Noirs that rival the best of Burgundy, California sits at the top of my list. A visit to Napa/Sonoma, or any of the other fantastic wine-growing areas is like a pilgrimage to Mecca for any true wine-lover. 2. FRANCE – Many would have these first two regions reversed but to me, I have to slide France just under the Golden State. I love the wines of Bordeaux, Chateau Neuf du Pape, the Cotes du Rhone and many other smaller appellations. Quite often my wallet prevents me from truly knowing the joys of Burgundy but, overall, there is much to enjoy in the wines of France which on the nose and the palate reveal so much about the place from whence they came. 3. 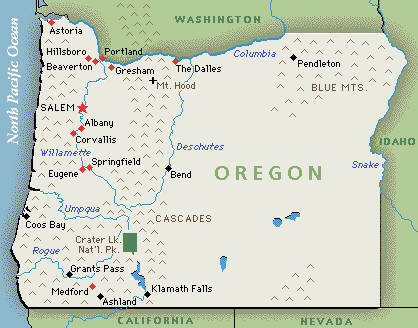 Oregon – This one made the list almost exclusively because of their Pinot Noirs. For those of you not familiar with this grape, it offers a much softer taste than most red wines. The best of these have very fragrant bouquets of lavender and soft cherries and they are a red wine that will go well with lots of different dishes including both chicken and fish. 4. 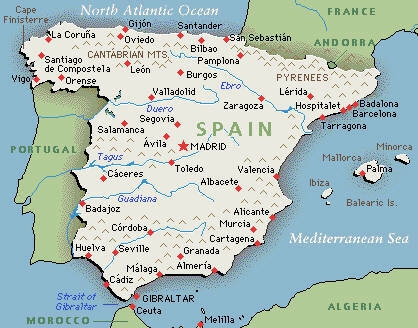 SPAIN – Don’t have a lot of money but you wanna drink some good wine? No country in the world currently produces more value wines than Spain. 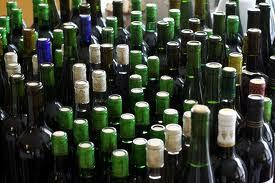 For less than $10.00 you can find something good to drink every night for months without repeating the same wine twice. It’s fun to just experiment with these wines and the Tempranillo, Monastrell, Garnacha and combinations of each of these grapes create some tasty and food friendly wines. 5. ARGENTINA – Don’t you dare cry for Argentina. They have taken the Malbec grape which originated in the Cahors region of France and brought it to a new level. This wine is a favorite of several of our dinner companions and it’s always a welcome addition with a wide variety of foods. 6. 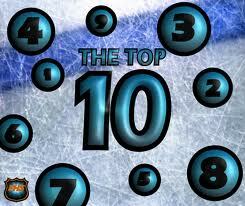 AUSTRALIA – A few years ago the Land Down Under may have held even a higher spot on my Top Ten Regions List. It may have slipped a little but it’s hard not to enjoy a well made Shiraz. The wines of Oz are full of deep rich flavors and they are diversified enough so that you can find excellent cabernets and pinot noirs. My favorite wine of all time is STILL the 2001 Shirvington Shiraz from McLaren Vale, Australia. 7. 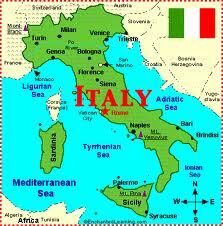 ITALY – So many fine wines from so many regions of Italia. Anyone who has ever visited Italy returns with rave reviews on how good the simple wines were that accompanied each meal. Back home we can choose a simple Chianti or the more regal Barolo’s or Brunello’s. You can spend a little or you can spend a lot but the Sangiovese and Nebbiolo grapes shine with the rich sauces and pasta dishes that seem to have been made for these wines. 8. GERMANY – I’ve never been crazy about white wines but whenever the situation calls for a crisp white wine, Germany is my region of choice. The Reisling grape is done to perfection in a couple of the hilly regions of Germany. The sweet apple, pear, and peach flavors that shine through a quality Spatlese and blend with the ever-present minerality is the perfect accompaniment to lots of lighter foods. 9. 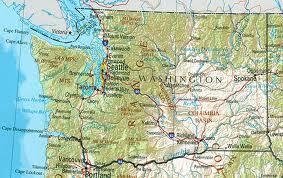 WASHINGTON – Sneaking into my Top Ten is the third state known for its wine production, Washington. This area is home to some top-notch producers who make some very nice cabernets and red blends. Solid, if not spectacular wineries such as Columbia Crest and Chateau St. Michelle provide excellent choices at very reasonable prices. 10. NEW ZEALAND – The Kiwis are known primarily for their zesty Sauvignon Blanc, a great summer sipper for those of you who enjoy white wines. 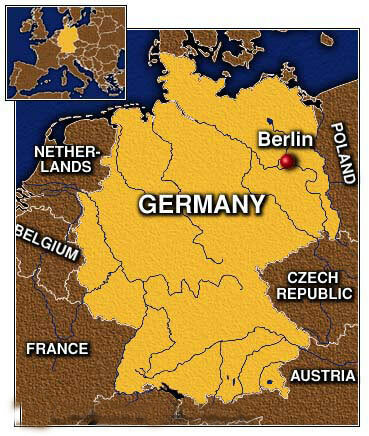 Personally, I skip the whites and search for some of the Pinot Noirs and exciting red blends that hail from this area. 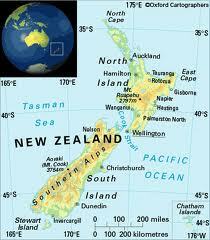 They don’t get a lot of press but several areas of New Zealand are producing some first-class wines on a regular basis. There you have it. My Top Ten Wine Regions, subject to change as the years go by.